Our recent adventure is one of my all time favorites. opportunity to see them until this past weekend. has wild herds of American buffalo, and wild horses too! peacefully - not bothered by the sudden downpour. We had arrived at the park just before the rains moved in, and weren't at all sure of what we would find. 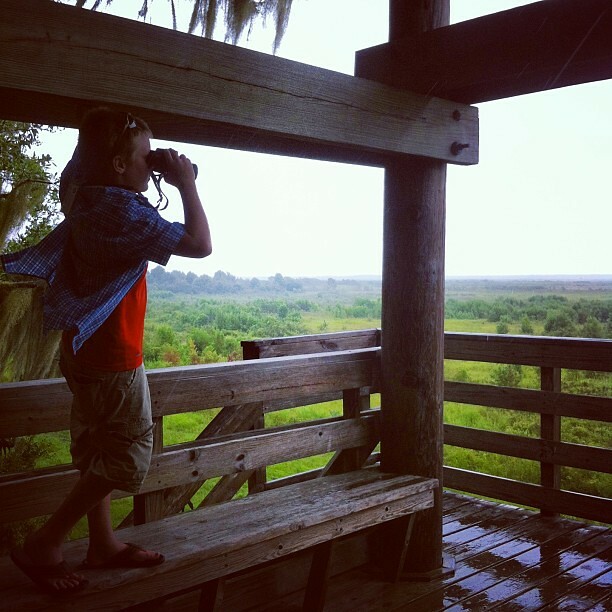 We walked the path, behind the small nature center, making our way down to the tall wildlife viewing tower. We had buffalo on our minds - hoping to see the herd which roams the prairie there. 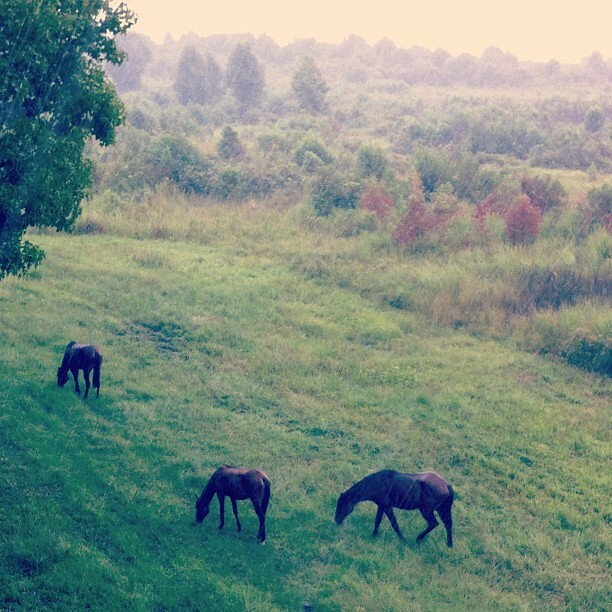 To our delight, what we found at the base of the tower was three beautiful wild horses. Wild horses are indigenous to the United States and were re-introduced here by the Spanish during the 1500's. 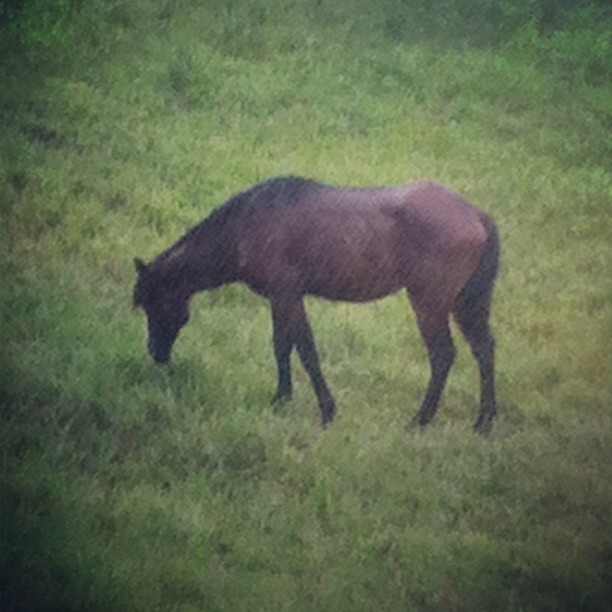 These horses are direct descendants of those horses brought to Florida during the time of Spanish reign. 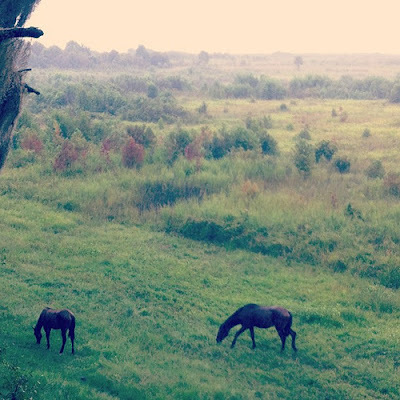 In 1971, the same year Paynes Prairie became Florida's first state preserve - the United States Congress recognized Mustangs as "living symbols of the historic and pioneer spirit of the West, which continue to contribute to the diversity of life forms within the Nation and enrich the lives of the American people." They seem to have forgotten about the wild horses of Florida, yet they were both brought back to the US by the Spanish and both roam free in the wild, ever since. Although there are fences around the borders of the park - the horses live wild and free as they always have on this continent. There are some who reject the classification of "wild horses" because the Spanish at one time, had domesticated this breed, and therefore consider them "feral" instead. Furthermore, the Florida horses were used by the cattle herdsmen (Florida is the original cattle state) , much like the Mustangs of the West, were domesticated by the Native Americans. Those same folks will not classify the existing Mustangs as wild for the same reason. Most people are contented to call them wild horses. They live wild and free, roaming the prairie eating only the grasses which grow on the diverse landscape of the preserve in Micanopy Florida. For us, it was an exiting adventure, and a privilege to see these beautiful creatures God created. These wild equine creatures are direct descendants of the originals brought here by the Spanish so long ago. As far as we are concerned, the Florida Mustang, is amazingly beautiful and a wild horse indeed! 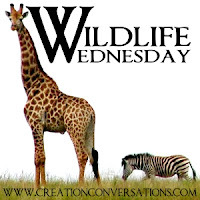 Link up your own wildlife and nature posts & be pinned to the Master Books Wildlife Wednesday board.